With the launch of its first two Windows Phone 8 handsets earlier this week - the Lumia 920 and 820 - Nokia's been riding a roller coaster of positive reviews and lowered expectations. Perhaps the introduction of another pair of Windows Phone 8 smartphones, this time on the shallower end of the spec spectrum, will peak consumers interest even higher and send naysayers packing. Sources talking to The Verge said the Finnish carrier is planning two such phones, the "Zeal" and "Flame." The Zeal, first learned about Tuesday, is pegged to fall somewhere in the middle of Nokia's Lumia offings. It'll reportedly measure 4.3 inches and pack a 1.0GHz dual-core processor. According to the sources, the Zeal will have a Zune-inspired design and fit into Nokia's standard unibody frame. A microSD slot, 512MB of RAM and 8GB of storage are the only other specs reportedly available now for the Zeal. Expect to see Nokia launch its zealous mid-ranger in early 2013. Seemingly stuck on coupling its Windows Phone 8 handsets, The Verge also learned Friday another low-spec phone, the Flame, could come early next year as well. This one should reach 4-inch in length and it too will have a 1.0GHz dual-core processor with 512MB of RAM. However, it differs from the Zeal - so far at least - as it looks like it features a 5MP camera and has 4GB of storage. 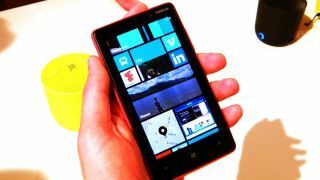 Sources say the Flame may get an optional microSD card boost and fall into the Lumia 610 and 710's price ranges.